Convert your bottle rinsing base (CE970) into an inert gas system for purging your bottles. If you own the bottle rinsing and purging base, this Gas Purging Adaptor is the piece of gear that will take the base from rinse to purge. For use with standard 1/4" or 5/16" gas line. Features an in-line check valve to control gas flow without needing the tank nearby. 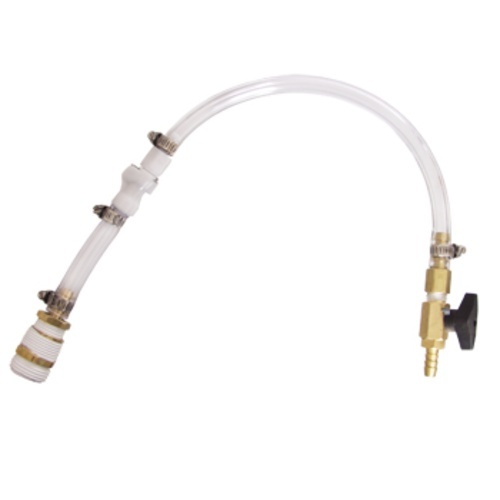 Includes our H550 Gas Line Quick Disconnect Set for installation into an existing gas system.